Established by Miami alumnus E. Phillips Knox, a 1968 graduate, the award recognizes creative, innovative and engaging teaching methods at the undergraduate level. This award is conferred upon faculty members whose achievements unequivocally merit the recognition for excellence in teaching. Award winners receive a professional expense allocation of $3,000 in support of their teaching and for professional activities related to the scholarship of teaching and learning. Faculty candidates for the Knox Award are nominated by their peers. Faculty must be nominated by October 15. Faculty who are nominated and eligible will be invited to submit an application packet by January 14. Selection of finalists will be made by February 15. The Knox Distinguished Teaching Award will be awarded on March 19, 2019 at the Spring University Awards Ceremony. The process is described below. The process to nominate a faculty member for the Knox award can be completed by sending an email to cte@miamioh.edu. The nominees name, rank, and department should be included in the email. 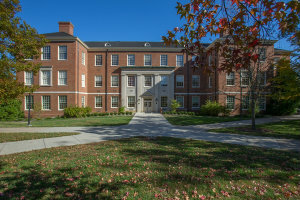 “The recipient must have a minimum of two years of teaching service at Miami University, be good standing within the department; and be recognized by students for disseminating knowledge, improving the learning experience while encouraging students to think critically, understand context and be engaged with the learning experience through creative and innovative teaching methods” (Knox Memorandum of Understanding). Application packets are due January 14 to cte@MiamiOH.edu. At least two letters (no more than 5 letters). One letter should be from your nominator and discuss how your teaching meet the criteria (see below). The second letter should also address the criteria. At least one of the letters should be from a faculty or staff member at Miami. A teaching narrative or statement of 2000 words or less. Please reflect on your teaching and discuss how you met the criteria and definition of teaching excellence. Please reference materials provided in your supporting materials and documented evidence. examples of teaching artifacts (e.g., electronic teaching portfolio, links to game or website of teaching materials; syllabi; assessments). Supporting materials and documented evidence cannot exceed 15 pages (12 point font; Times New Roman; 1 inch margins; single or double spaced). When non-written materials (e.g., videos) or links to additional materials are included, be mindful that the review time of the supporting materials and documented evidence should be commensurate with the review of 15 written pages. documented evidence of student learning outcome. Please note: Past winners of the Knox Teaching Award or the Distinguished Teaching Award are not eligible until 10 years after their Knox or DTA award date. Around February 1, the committee will meet to discuss the applications. Finalists who are selected will be invited for an interview (30 minutes or less) with the selection committee. Interview questions will be standard and provide the selection committee an opportunity to explore the finalists' teaching achievements further. The Knox award winner was selected by the CTE committee by examining the nominees’ teaching portfolios. Teaching portfolios require the nominee to write a reflective statement explaining their approach to teaching to teaching and provide appendix items which provide examples of and evidence for the reflective statement. This reflective process is often seen as valuable by the nominees.